Health care plans for Oregon, Utah, and Idaho. 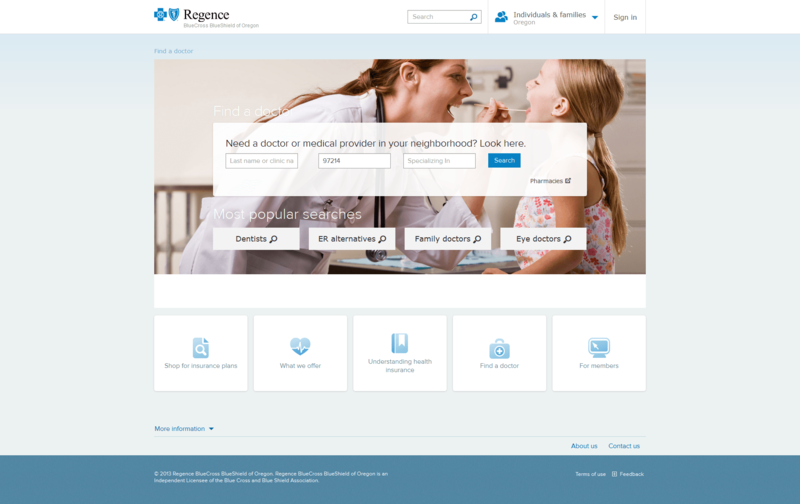 Our goal was to redesign and rebuild the Regence, Asuris, and BridgeSpan sites under portal system. As health insurance companies, accessibility was a top goal, and design choices were always evaluated through user testing campaigns. We created a robust search and browse system with content for each audience and custom-tailored based on user personas. 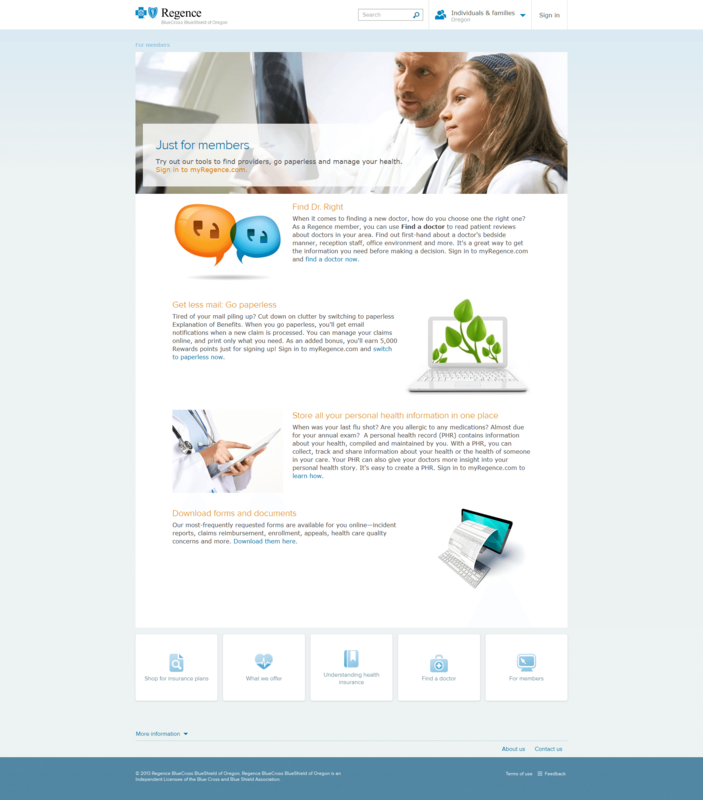 Designers and developers worked as one to develop each page within the scope of the Liferay portal system. 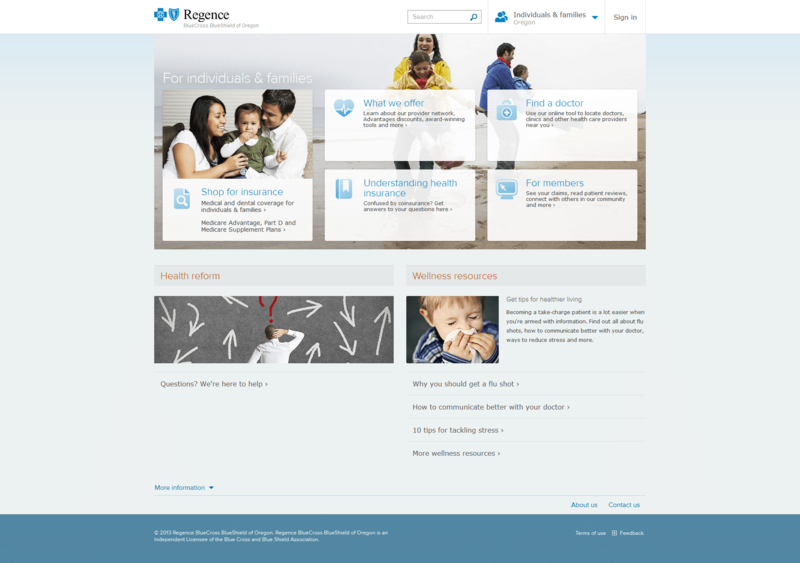 As a result, we created a more user-focused experience than what people have come to expect from a health insurance company.